A dirty little secret in the building industry is that the promised r-value of a wall is usually just a measure of the cavity insulation in a perfect installation. Often the installation of insulation is not perfect, but just as important is the fact that the studs in the wall often leak a lot of energy through thermal bridging. The rSTUD is a new product developed to make a wall’s framing every bit as insulative as the high-end insulation that fills it. It’s 4 times more energy-efficient than conventional lumber and can reduce heat loss transmitted via a wall’s assembly by 85%. Efficient insulation is all about the numbers, so lets take a look at what the rSTUD has to offer. 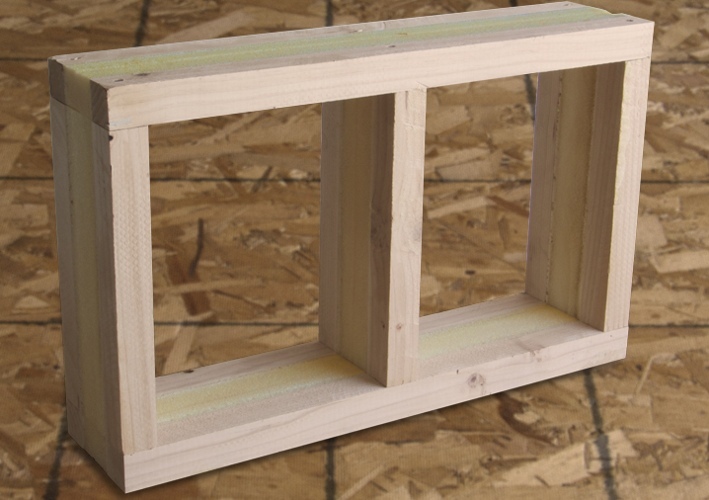 The 2×6 has an r-value of 21 which makes it 3 times the efficiency of a typical 2×6 fir board rated at r 7.7. 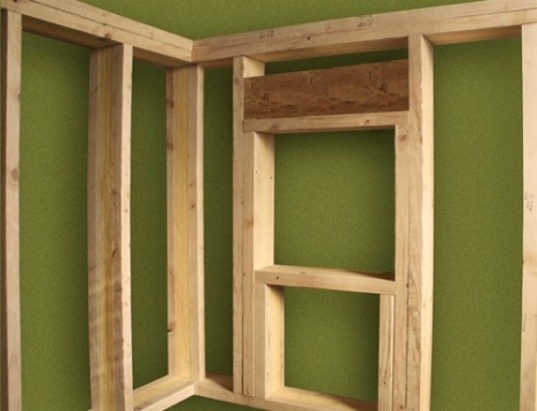 As framing can compose up to 20% of the total surface of a given wall, the real world r-value of the wall system will only be 3/4 of what is advertised. Headers, the beams that go across doors and windows, are also available with the dense pack insulation in-between structural members. Many builders make headers with foam insulation in-between the wood on-site, so this is not as ground breaking. The rSTUD is not cheap, but like most things in building you have to look at the big picture to appreciate the benefits. If the wall is insulated with very expensive expanded foam, the real r-value of the wall system is maintained with this product rather than degraded by up to 20% through thermal bridging. This may also eliminate the need to foam the outside of the wall. The price can also be reduced with the good, old-fashioned practice of advanced framing or Optimum Value Engineering (OVE), which ironically is relatively simple and can reduce 5-15% of the framing. With demand for highly isolative building envelopes becoming more normal, especially as Passivhaus and other systems become more common, products like this will be critical. A dirty little secret in the building industry is that the promised r-value of a wall is usually just a measure of the cavity insulation in a perfect installation. Often the installation of insulation is not perfect, but just as important is the fact that the studs in the wall often leak a lot of energy through thermal bridging. The rSTUD is a new product developed to make a wall's framing every bit as insulative as the high-end insulation that fills it. It's 4 times more energy-efficient than conventional lumber and can reduce heat loss transmitted via a wall's assembly by 85%.